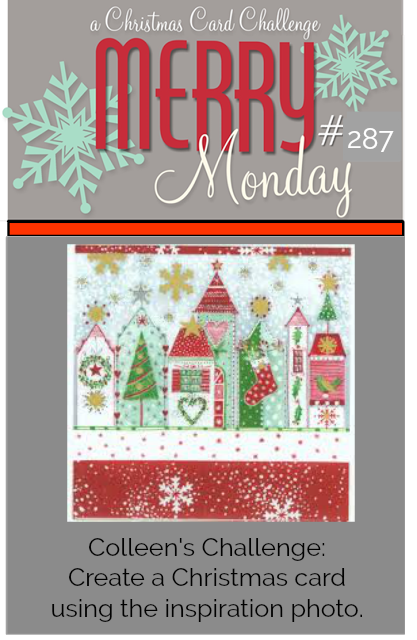 We have a new Merry Monday Christmas card challenge, Colleen is our hostess and her challenge is to Create a Christmas card using the inspiration photo. 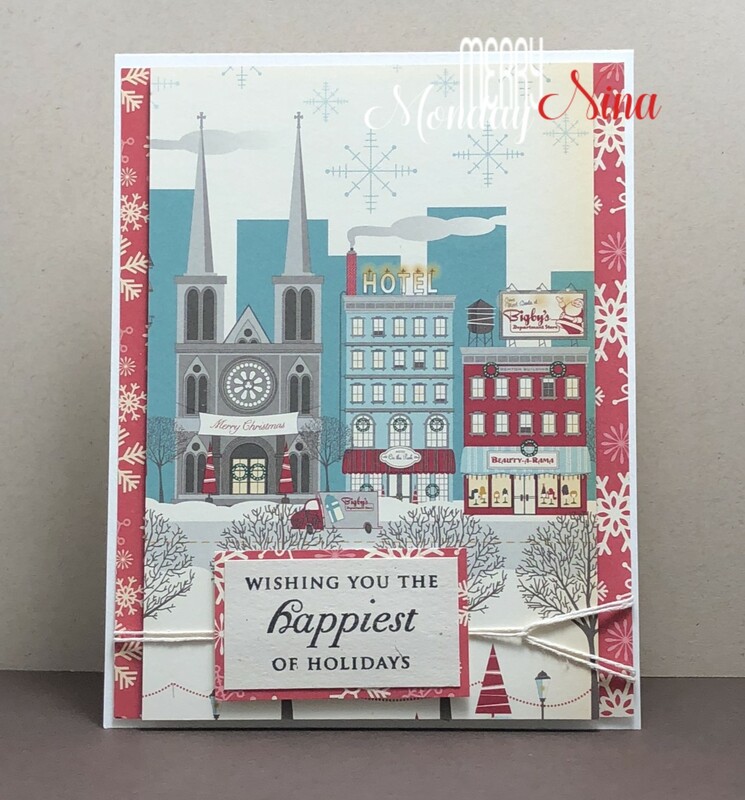 I used one of my older paper pads for this card, I love this vintage style scene. I added a layer of DP with snowflakes behind the popped up main panel. I added some twine then popped up the sentiment with foam tape as well. Supplies: White cardstock, Designer Paper-October Afternoon, Papertry Ink, twine. Great design! I love how well all of your elements work for the challenge so nicely! I love the vintage style scene too Nina. Very pretty papers you have used on your lovely card. I love the way you did the sentiment also. Such a pretty vintage street scene, Nina! Perfect with the red & white snowflake paper behind!! Wonderful card, awesome paper, nice touch with the twine. Cheers! 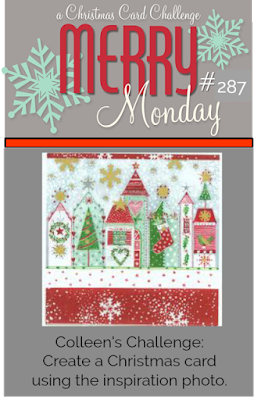 Lovely card, Nina with your vintage pattern paper. Hope you have a great week. Your “foam popping” of things makes your cards appear to be almost 3Dish - nice mix of layers, Sis! I like the placement of your twine and how its not just straight across. Again the perfect paper! How do you do it!!!? ?